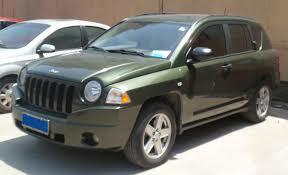 Chrysler Group LLC (Chrysler) is recalling certain model year 2012 Jeep Patriot and Compass vehicles manufactured October 18, 2011, through May 7, 2012. Due to an incorrectly manufactured transfer tube, the transfer of fuel from the secondary side to the primary side of the fuel tank may be interrupted, causing the engine to stall. Got a lemon Jeep Patriot or a lemon Jeep Compass? Want a new Jeep or your money back?